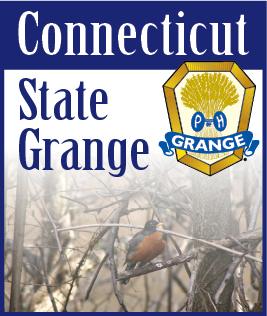 OCTOBER 5, 2018 -- The 134th Annual Session of the Connecticut State Grange will be held Thursday through Saturday, October 18-20, at the Holiday Inn Norwich, 10 Laura Blvd., Norwich, Connecticut. NOVEMBER 2, 2014 -- During the 130th Annual CT State Grange Convention in Rocky Hill, Connecticut, in October, delegates elected a new slate of officers. Committees were appointed by new CT State Grange President Noel Miller.